Vari-Flex XC Rotate combines the established Flex-Foot® attributes of energy return and smooth roll-over, with valuable shock absorption and rotational capabilities. 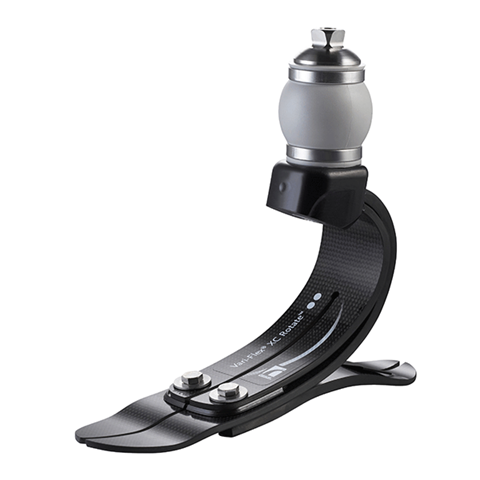 Lightweight and easy to fit, the foot incorporates a torsion cell, which helps to reduce rotary forces on the knee joint and shear forces on the residual limb. Designed to accommodate hiking and other high impact activities, as well as level ground walking, Vari-Flex XC Rotate is ideal for active people who want to use a single, lightweight foot for a wide range of everyday activities.